When Pennsylvanian Keith Emerich went to the hospital recently for an irregular heartbeat, he told his doctor he was a heavy drinker: a six-pack per day. Later, Pennsylvania's Department of Transportation sent Emerich a letter. His driver's license had been revoked. If Emerich wanted it back, he'd need to prove to Pennsylvania authorities that he was competent to drive. His doctor had turned him in, as required by state law. The Pennsylvania law is old (it dates back to the 1960s), but it's hardly unusual. Courts and lawmakers have stripped DWI defendants of the presumption of innocence - along with several other common criminal justice protections we afford to the likes of accused rapists, murderers and pedophiles. In the 1990 case Michigan v. Sitz, the U.S. Supreme Court ruled that the magnitude of the drunken driving problem outweighed the "slight" intrusion into motorists' protections against unreasonable search effected by roadblock sobriety checkpoints. Writing for the majority, Chief Justice Rehnquist ruled that the 25,000 roadway deaths due to alcohol were reason enough to set aside the Fourth Amendment. It's a number that's still used today. In 2002, the Los Angeles Times examined accident data and estimated that in the previous year, of the 18,000 "alcohol-related" traffic fatalities drunk driving activists cited the year before, only about 5,000 involved a drunk driver taking the life of a sober driver, pedestrian, or passenger. Unfortunately, courts and legislatures still regularly cite the inflated "alcohol-related" number when justifying new laws that chip away at our civil liberties. For example, the Supreme Court has ruled that states may legislate away a motorist's Sixth Amendment right to a jury trial and his Fifth Amendment right against self-incrimination. In 2002, the Supreme Court of Wisconsin ruled that police officers could forcibly extract blood from anyone suspected of drunk driving. Other courts have ruled that prosecutors aren't obligated to provide defendants with blood or breath test samples for independent testing (even though both are feasible and relatively cheap to do). In almost every other facet of criminal law, defendants are given access to the evidence against them. These decisions haven't gone unnoticed in state legislatures. Forty-one states now reserve the right to revoke drunken driving defendants' licenses before they're ever brought to trial. Thirty-seven states now impose harsher penalties on motorists who refuse to take roadside sobriety tests than on those who take them and fail. 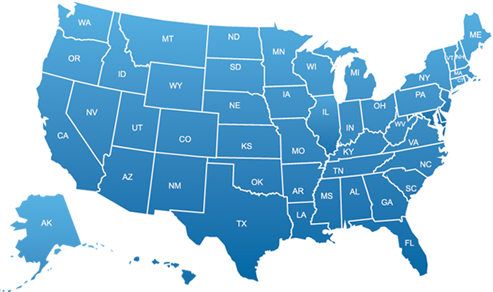 Seventeen states have laws denying drunk driving defendants the same opportunities to plea bargain given to those accused of violent crimes. Newer laws are even worse. As of last month, Washington State now requires anyone arrested (not convicted -- arrested) for drunken driving to install an "ignition interlock" device, which forces the driver to blow into a breath test tube before starting the car, and at regular intervals while driving. 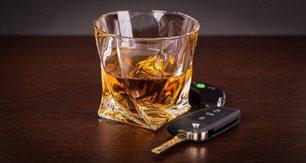 A second law mandates that juries hear all drunken driving cases. It then instructs juries to consider the evidence "in a light most favorable to the prosecution," absurd evidentiary standard at odds with everything the American criminal justice system is supposed to stand for. Even scarier are the laws that didn't pass, but will inevitably be introduced again. New Mexico's state legislature nearly passed a law that would mandate ignition interlock devices on every car sold in the state beginning in 2008, regardless of the buyer's driving record. Drivers would have been required to pass a breath test to start the car, then again every 10 minutes while driving. Car computer systems would have kept records of the tests, which would have been downloaded at service centers and sent to law enforcement officials for evaluation. New York considered a similar law. That isn't to say we ought to ease up on drunken drivers. But our laws should be grounded in sound science and the presumption of innocence, not in hysteria. They should target repeat offenders and severely impaired drunks, not social drinkers who straddle the legal threshold. Though the threat of drunken driving has significantly diminished over the last 20 years, it's still routinely overstated by anti-alcohol activists and lawmakers. Even if the threat were as severe as it's often portrayed, casting aside basic criminal protections and civil liberties is the wrong way to address it.